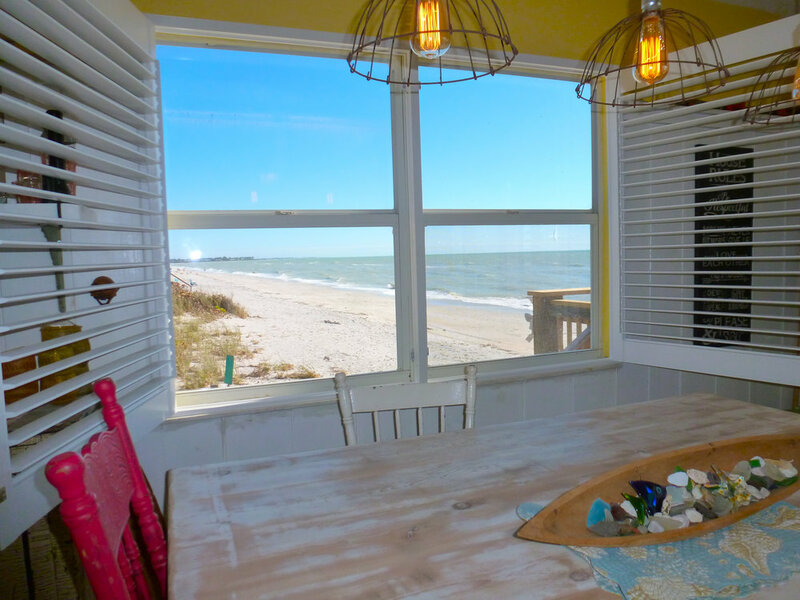 The Bonefish Bungalow sits right on the beach with dramatic views from every room in the house! 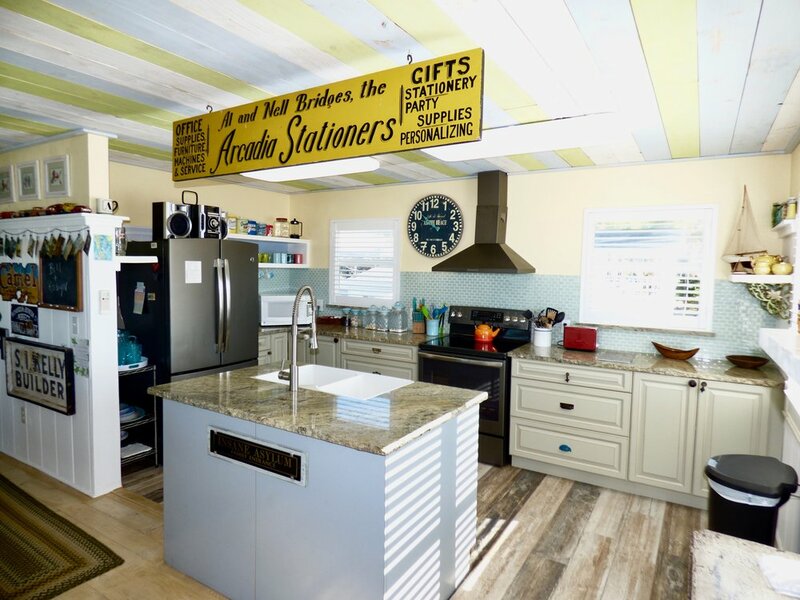 It combines "Old Florida" charm and character with modern sophistication and style: brand new appliances, a new kitchen, new fixtures, new flooring, new bath, new doors and windows mixed with antique furniture and vintage accessories for a truly one-of-a-kind beach experience! A king bed in the master bedroom overlooks the Gulf, and the living and dining areas also have sweeping beach views. 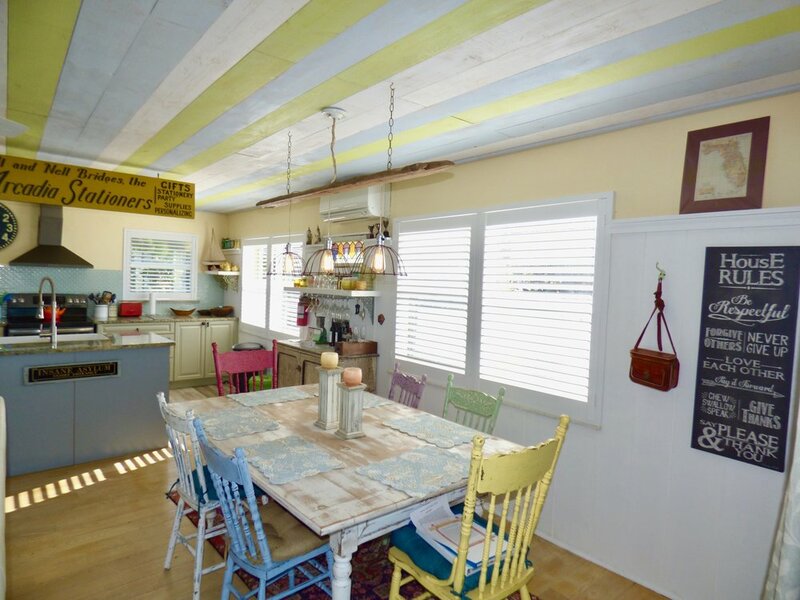 The home is meticulously appointed and well-stocked with all kitchen utensils and pots and pans…everything you need for an gourmet meal or a casual beachfront picnic on the porch. 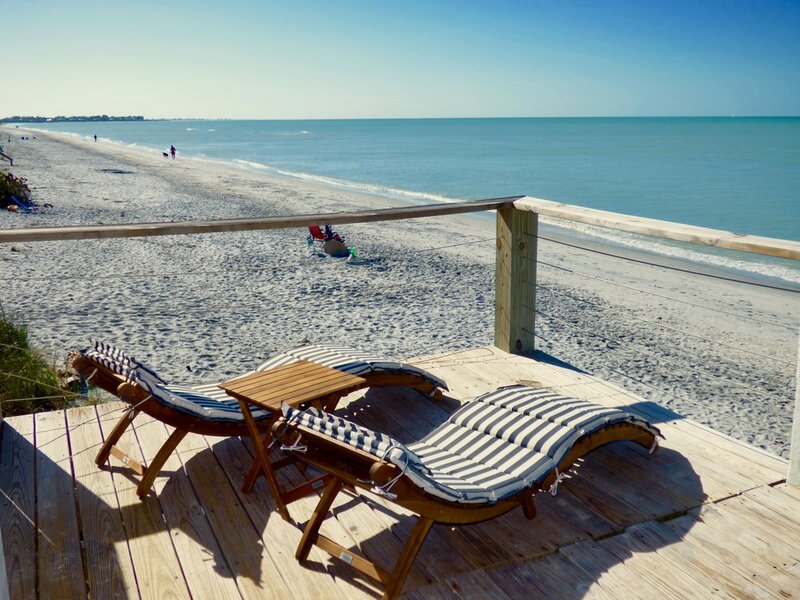 The front porch, overlooking the beach, has comfortable chaise lounges, electric grill, an outdoor dining table and a comfy seating area perfect for relaxing with a good book. 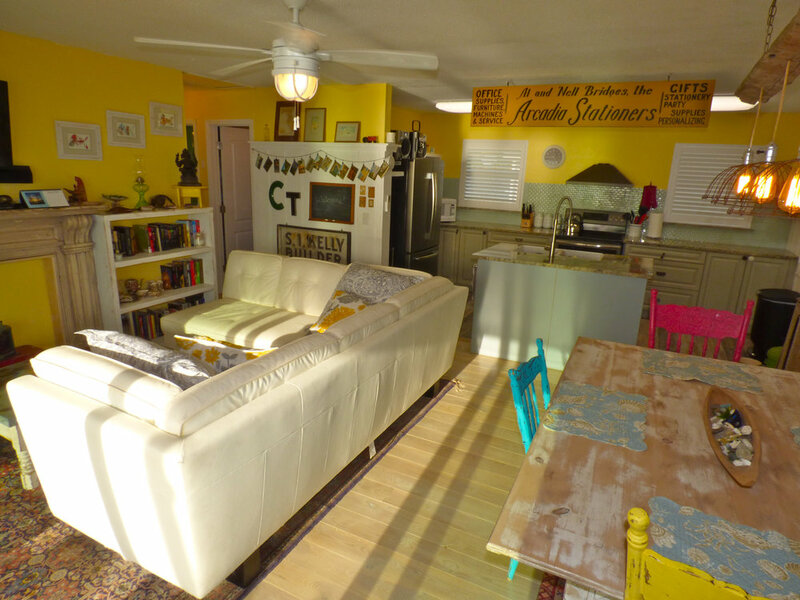 This cottage offers you an authentic "old Florida" beach experience with modern comfort and style! WiFi - Complimentary wifi provided via a Verizon Jetpack. Speeds adequate for web-browsing, emails, social media, but not games or streaming. Please see our Island WiFi page for more details.